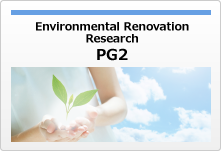 We are conducting research on disasters and the environment that will aid environmental recovery and renovation in areas affected by the Great East Japan Earthquake, and will also help to create more environmentally resilient communities based on the lessons learned from major disasters. 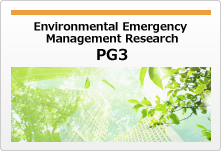 2019-04-10 LATEST UPDATE ON ENVIRONMENTAL EMERGENCY RESEARCH No.1 released. 2019-03-28 NIES Letter FUKUSHIMA No.3, No.4 released. 2019-02-22 The Research publications have been updated. 2019-01-08 The Research publications have been updated. 2019-01-08 The Oral presentations have been updated. 2018-10-31 The Oral presentations have been updated. 2018-10-31 The Research publications have been updated. 2018-08-29 The Research publications have been updated. 2018-08-29 The Oral presentations have been updated. 2018-08-24 NIES Letter FUKUSHIMA No.1, No.2 released. 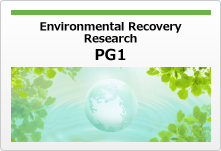 2018-06-25 The Research publications have been updated. 2018-04-25 The Research publications have been updated. 2018-04-25 The Oral presentations have been updated. 2018-02-16 The Research publications have been updated.